ALWAYS pet the animals when you are there. The customer must see that you will not only provide the necessary care for their pets, but will also love them as if they were your own. The New Client Meeting is vitally important. Performed well, it provides comfort for the clients in your professionalism and provides you with the information you need to do your job in a fully professional manner, including emergencies. Rule of thumb: A properly conducted interview creates clear mutual expectations and eliminates almost all problems. In time you will establish your own routine for interviewing, and it is vital that you do so since you will have to depend on the information you get at an interview to do a good job. Most importantly, you must control the proceedings. You are the professional. If people want to talk or try to control the flow of information, just politely inform them that “that comes later” and move on to the next question on your routine. If you lose control, chances are that you will miss some important information. By retaining control you have the option of deciding whether you want to stay around, be sociable and answer their questions. Almost all customers are curious about the business and about anyone who does it for a living. But your schedule may be too tight for a chat on that particular evening. Don’t be rude. Simply inform the customer that you have another interview or a cat that needs to be fed and leave. If you like the client and have time, you are free to chat with them as long as you wish. You will be paid for a 30-minute meeting though, as it is enough of time to get all the pertinent information for you to be able to do the assignment. BE PROMPT. If the interview is at 7 pm, be there at 7 pm. You are selling responsibility and reliability. Being on time reinforces the customer’s perception of us as people to be trusted. Being on time is also considerate. Some folks will be running around until three minutes before you arrive cleaning up their homes so you won’t think they are slobs, and arriving early can throw these types into an anxiety attack. If you arrive early, use the time to update contracts, listen to the radio, whatever, just don’t ring the bell until the agreed upon hour. And while you wait, don’t sit in the car in front of the customer’s house. Given today’s high anxiety about life in general they may call the police to report a prowler – not a good way to get a relationship off to a good start… If you cannot figure out something to do in the half hour of time you are early, then call the customer and ask whether you can arrive early. Being late is unacceptable. Some potential clients have tight schedules and plan to leave immediately upon the completion of the interview. Others just get irritated if you are not on time. If you realize you are going to be late, even if it’s just 10 minutes late, call and say so. Our clients appreciate your professionalism. Walk inside and introduce yourself to the people. Follow their lead on use of first or last names in future references to them (in other words, if the customer says “I’m Dr. Phelps” don’t call him Charlie). Always introduce yourself by your full name. Introduce yourself to the animals. Let them sniff you. Get down to their level so they feel comfortable. Scratch a few heads and ears if warranted. The base of a dog’s tale is often a favorite spot. Don’t worry about unfriendly cats – never force yourself on a cat, they remember! Try to make friends with dogs since you usually have to walk them. Nose to nose contact or a lick usually means you are a friend. Let the customer see that their pets like you! Always compliment the customer on how gorgeous/funny/beautiful/cute/athletic/etc their pets are. A compliment like “She has a great coat” or “You are taking a great care of them” goes a long way! For vicious or neurotic animals you may want to exercise your option to refuse the job. You always have the option to refuse a client. Clients sometimes fill out their own info in our PetSitConnect software. Those are our ideal customers. You’ll pull up their file, go thru their info, and ask questions. Sometimes clients don’t fill them out. You’ll need then to open your New Client Queue, find their name, and click on Meeting Complete. That button will take you to the client’s profile screen. There you can just add information to their veterinarian, emergency contacts, alarm, etc. Just fill in the blanks. You can take their credit card info right there, or you can just give them an option to wait and have the office email them the link to input that info. For more detailed info on how to use PetSitConnect, go to How to view NEW CLIENTS and submit their info. Write down the instructions if necessary. Find out where they keep the watering can or hose. Ask them if they receive newspapers. Many people try to call and have it stopped. This works about 50% of the time. If there is a newspaper on the front lawn, we will bring it inside, take it out of the plastic, and lay it flat neatly on the counter. If there is a mailbox in front of the house, we will also check it daily. Make sure you ask where their mailbox is. Ask “Do you have timers on your lights?” If not, ask them if they want us to turn some lights on at night. The goal is to keep the house look like it usually does. On longer assignments, ask when the garbage is supposed to go out. This is a crime deterrent. If a garbage sack is on the curb, it shows that people are home. Alarms: Make sure the customer walks you through their alarm system. Most systems are tied into a central switchboard or directly to a police station. If so, someone will call the house if the alarm was accidentally set (and you WILL occasionally set the alarm off even if you have correct codes from the customer – sometimes they just malfunction on their own). You need to get a code word (password) from the customer to give to the security company. Otherwise, the police will be called and the customer will be charged for a police visit. Always be sure to contact the client if you set off the alarm – the security company will call them so at least they will know it was you and not a burglar. Once you click Submit, you’ll be taken to a screen that will let you add their pets one at a time. Get all of the pets’ information. Make sure to note feeding and medicine instructions. 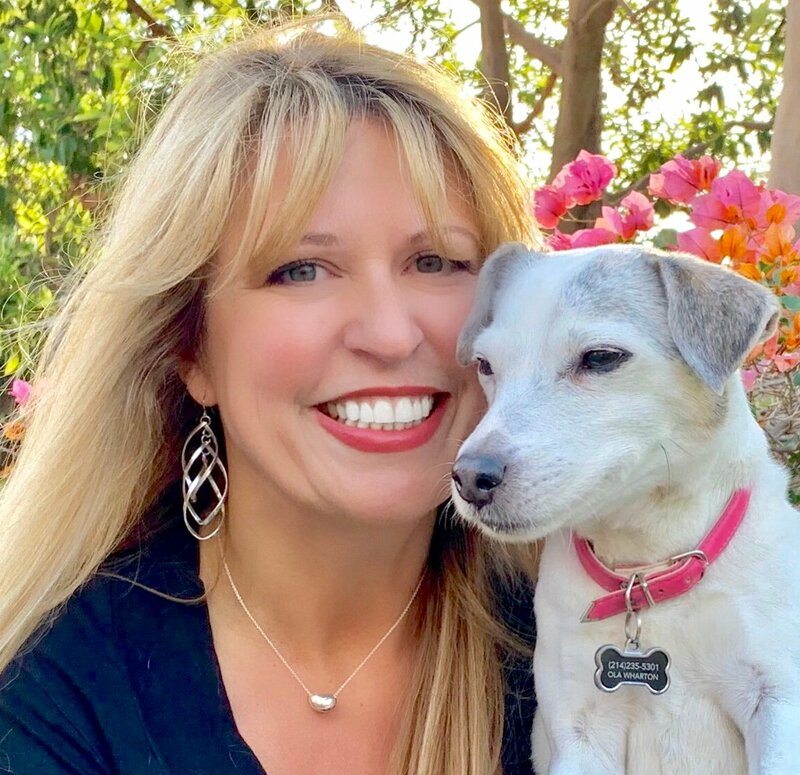 Your backup pet sitter needs to be able to do the pet sits without questions if they were to step in for you during your vacation or in case of an emergency. Pet food is usually left out on countertops or is stored in the pantry or the garage. If the customer has unusual places for storing food/treats, make sure to note that on the contract. Always make sure you know where the water bowls are. Many cat clients leave several water bowls around the house (in the bathroom sinks, etc.) Make note on everything that pertains to following the pets’ routine. For dogs, find out where the leashes are. Always ask what are the preferred times of the visits. We do not do any visits before 6 am and after 9 pm. For cats, make sure you note the location of all litter boxes and know where extra litter is stored. Special note: MEDICINE. If pets require medication, make sure you know its purpose and the health issues that it is addressing. Make sure to ask how the medication is administered. If all you have to do is roll a pill in a piece of cheese or put it down a friendly dog’s throat, you will have no problems with that pet when the customer is gone. If the customer tells you that the cat hides under the bed all the time, but needs a pill once a day, the chances are that you won’t be able to catch the cat while the customer is gone. Make sure that you are comfortable with giving the medication, or you are better off to refuse a job. Friendly cats that come out to greet you will be easy to pill, but if a cat is skittish, you will be stuck for hours trying to catch him… Do not take that chance, especially if the owner is away for many days and the medicine is pertinent for the animal’s well-being. Rule of thumb: Talk to the customer a lot while filling out their info. It creates a lot of open-ended questions which makes the customer talk about themselves and their pets. And the more you make people talk about themselves, the more they like you! It is our company policy that customers pay for the services by credit card. The scheduler would have already explained this to the customer while scheduling the meeting. We may do occasional exceptions, but unless you were notified of this exception, we need to have a credit card on file. You can either log that info into the system for them, or we can email them a link and they enter their credit card themselves. We can accommodate them either way!! Submit for Scheduling button will take you to list of fields where you enter dates and times when customers need us. Log each day they need services. If customer asks about the rates, tell them that the office already quoted them, but you’ll be happy to have the office call them back again with that info. Plus, they’ll get a confirmation email within 24 hours listing all the visits and rates with a total. The credit card will be charged AFTER the visits are completed, and we do offer 100% money back guarantee if they are not happy with our services. In addition, that email confirmation will be a great way to confirm the accuracy of the visits that have been entered in the pet sitter’s schedule. “Now may I have a key? I would like to try it to make sure it works.” Always check the key, or you will end up wasting a lot of time struggling with the door or calling a locksmith. Offer to answer any questions about our service or the company. You have a right to refuse service for any reason. Call the office, let us know why you are declining the assignment (so we can notify other pet sitters of a problem customer), and do not question your instincts! Below are SOME of the reasons you would choose to turn down an assignment. But this list is not absolute. You will never be forced to take a client you are not comfortable with. If the animal(s) are sick or injured and should be under veterinary care. If you do not feel that the animal(s) can be kept in a safe, secure and humane manner during the owner’s absence.